Titan sophomore Carly Szada runs home off of Claire Petrus’ double to left center field late in the sixth. 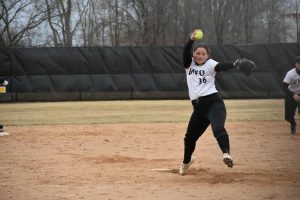 The UW Oshkosh softball team went an even 3-3 last week in double-headers versus Lakeland University, UW-La Crosse and UW-Whitewater. 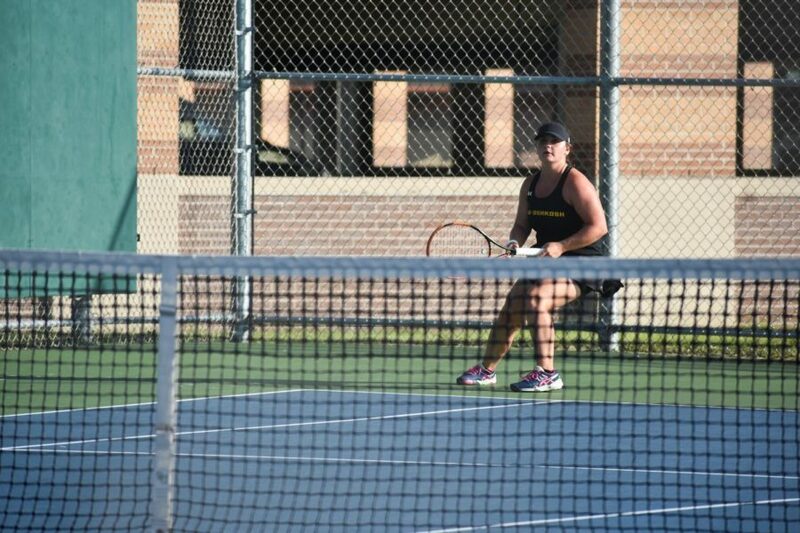 The Titans defeated Lakeland University in game one 4-2, but fell to the Muskies 3-2 in game two on Thursday in their home-season debut. Lakeland University opened the contest with a lead in the first inning, but senior pitcher Bailey Smaney went on to retire 11 of 12 Muskies batters between the first and fourth frames. UWO remained scoreless through the first four innings until driving in a four-run fifth frame. Samaney ended up allow just one run-in in the seventh inning. In game two, the Muskies once again scored a run in the top of the first frame and went on to take a 3-0 lead after just three innings. The Titans held the Muskies scoreless for the final four innings, but only managed two runs-in in the sixth, coming up one run short of a tie game. UWO junior Claire Petrus winds up for a pitch. 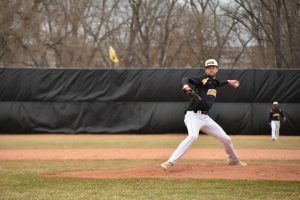 UWO rallied for a 12-2, mercy rule win over UW-La Crosse after losing 6-3 in game one of their double-header on Saturday in their first conference games of the season. In the opening matchup, La Crosse took an early 4-0 lead while UWO remained scoreless in the first four innings of the contest. Second-base junior Amanda McIlhany got the Titans on the board with a two-run homer in the fifth frame that brought the Titans within one run with two innings to go. 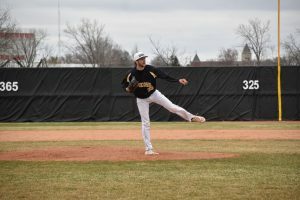 The Eagles held UWO off while managing two more runs-in, ensuring their 6-3 victory over the Titans. 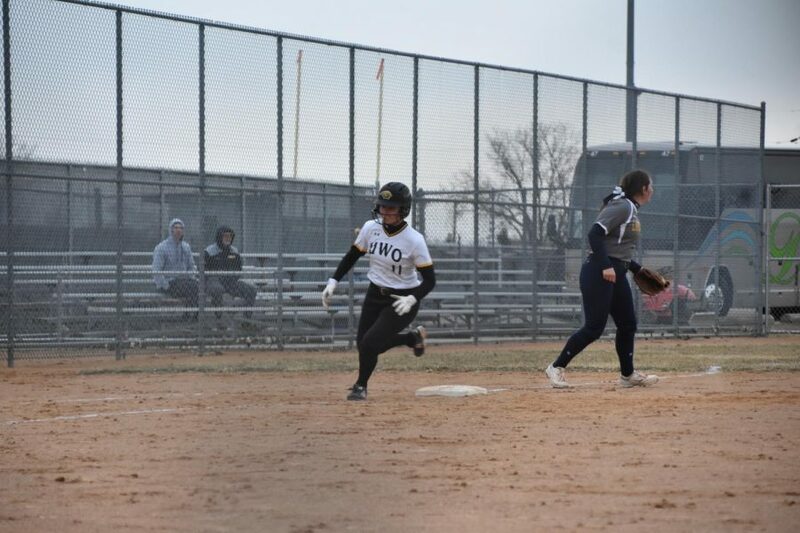 UWO rebounded in the nightcap after junior outfielder Acacia Tupa nailed a go-ahead, three-run homer in the top of the fourth inning to give the Titans a 4-2 lead heading into the fifth inning. 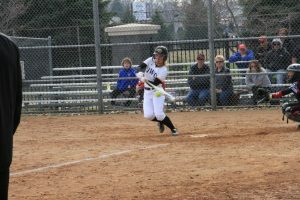 Tupa went 5-for-7 on the day with two doubles, three runs scored, four runs batted in, a stolen base and her first home run of the season. In the fifth and final inning of play, the Titans posted eight runs, including junior pitcher Claire Petrus’ three-run shot of her own that finalized UWO’s 12-2 victory over UWL. 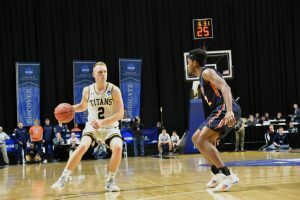 The Titan’s 10-point victory was the first by 10 or more runs over the Eagles since a 10-0 decision during the first-ever meeting between the teams in 1982. 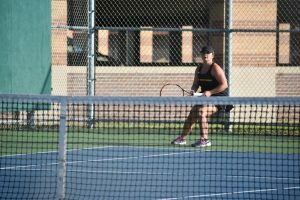 UWO registered a split double-header against UW-Whitewater on Tuesday at home. 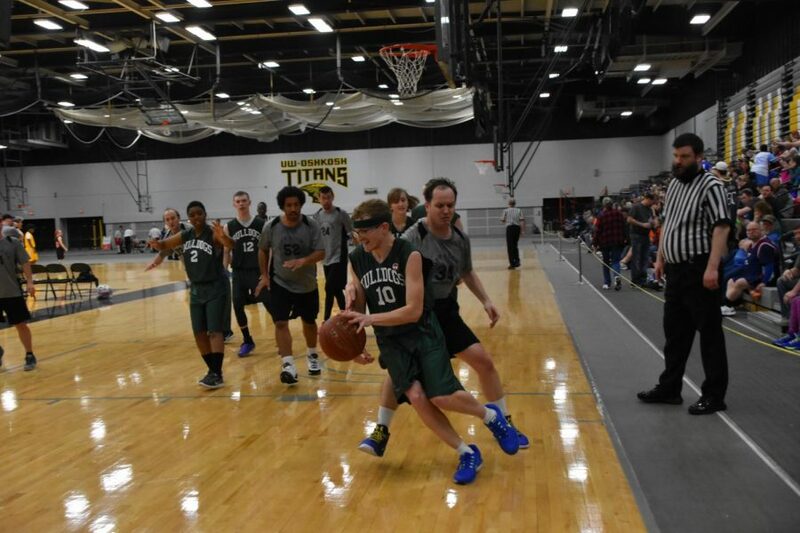 The Titans got shut out, 5-0, in the opening contest but owned the nightcap 5-4 over the Warhawks. 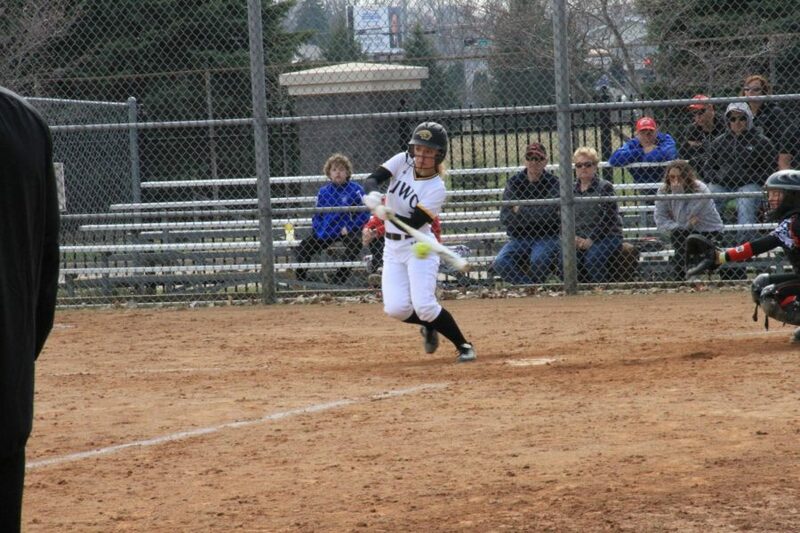 In game one, UWO only managed one hit on zero runs while UWL went off for five runs in the fifth and 10 hits overall. After the Eagles took an early 2-0 lead in the second contest, the Titans tallied one run-in in the fourth and four runs-in in the fifth, including another home run by McIlhany. 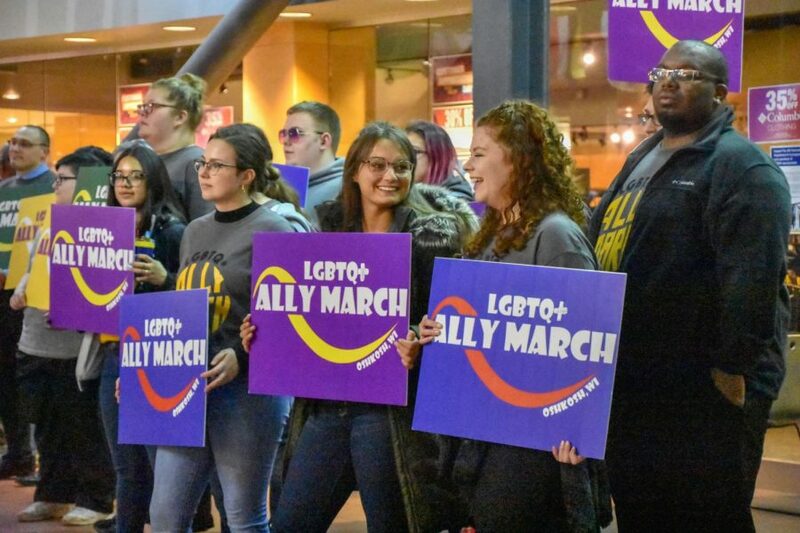 UWO remained scoreless the rest of the game while holding UWL to just two runs in the sixth, granting the Titans the final victory of the night. First base senior Kaitlyn Krol said that it’s about making the little adjustments that will set this team apart when it matters most. 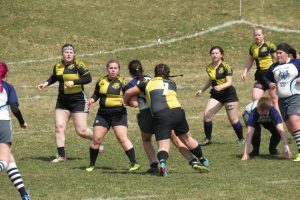 “After every game we play either a win or a loss we are learning and developing,” Krol said. “From losing a close game to winning on a walk off, our team has faced so much adversity and I think that is going to put us ahead this season. 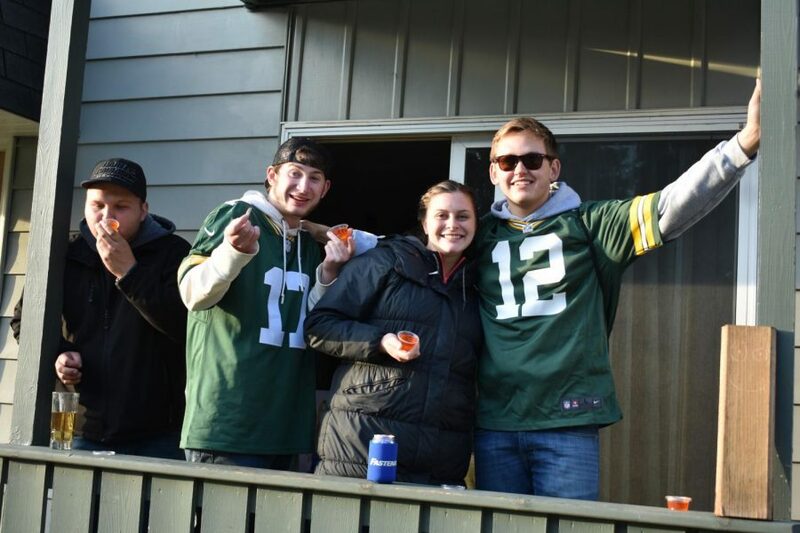 We are going to win those close conference games because we are making the adjustments we need to make. It’s the reason we came back for a huge win against La Crosse, and we did the same thing to Whitewater [on Tuesday], which was the first win against them in my four-year career. Head coach Scott Beyer said it will be important for his team to maintain a steady mindset heading into the ladder of the season. The Titans will continue conference play with a double-header against UW-Stout on Saturday at 1:30 and 3:30 p.m.